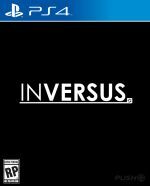 Inversus is a mind-bending strategy shooter played on a grid. One player is a black square, while the other is a white. Shoot and all of the tiles your bullet comes into contact with will flip to your colour, and the enemy can do the same. You can only travel on tiles of the same colour, and the same is true for your enemy, so it's a battle of wits to see who can trap and kill their opponent first. 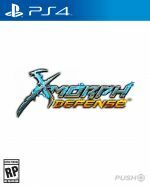 X-Morph: Defense is also a hybrid, but this time of top-down shooter and tower defense. You play as an alien species known as the X-Morph, who are invading Earth to harvest its resources. To achieve this, you'll build a variety of towers and plan a bunch of traps for your human foes, then head out into battle to beat them up using alien weaponry. This is one for those that like to plan ahead, or just want something PS4 Pro Enhanced. Utawarerumono: Mask of Truth is the final chapter in the series whose name we can't possibly pronounce. 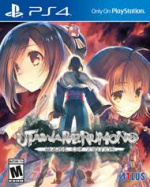 The gameplay is split between adventure and battle mode, with the former revealing plot points in a lovely visual novel format, while the latter provides full on strategic battles. Combat is like a more action-focused Final Fantasy Tactics. You'll move your characters around on a tiled board, initiating an attack chain complete with QTEs and special effects to duff up the enemy. Tooth and Tail is a cutesy RTS that trades traditional weapons for animal-flavoured alternatives. 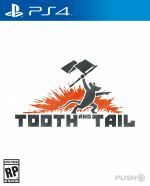 Think flamethrowing boars, gas-lobbing skunks, and paratrooper owls that hurl on the enemy. It tells a darkly humorous tale of a civil war in which animals are duking it out to decide who tops the food chain. The maps are procedurally generated and designed for smaller sessions, leading to an awful lot of replayability. 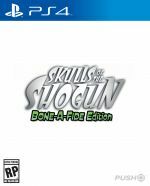 Skulls of the Shogun takes inspiration from Advance Wars and gives it an undead samurai twist. It's a turn-based strategy that features a single player campaign and multiplayer, and sees you taking control of a group of characters on a tiled board. 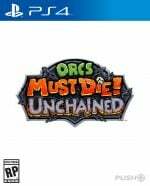 Orcs Must Die Unchained pretty much does what it says on the tin. You have to lay a whole bunch – seriously, an absolute ton – of traps, which come in a wide variety of gnarly forms, to ensnare a bunch of hapless orcs. Then, you wade in and devastate them with your favourite spells and weaponry. 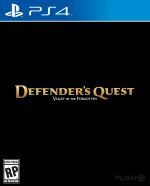 Defender's Quest is a blend of tower defence and RPG. Instead of actual towers though, you'll order heroes to take up positions. They'll each level up, learn skills, and equip gear individually, which lets you tweak them to adapt to their own individual challenges. Masquerada is another turn-based strategy RPG, but one with lovely comic book visuals. It's set in a Venetian-inspired city in which characters wear masks – called Mascherines – that grant them magic powers. Some solid storytelling combines with tricky tactical combat to create a rather unique experience. The Banner Saga is a haunting tactical RPG that's part visual novel -- complete with weighty player choice -- and part strategic, grid-based battles. You'll assist a great cast of personalities on an epic journey throughout a frozen, Norse-inspired wilderness, making difficult decisions, losing characters in battle, and managing your supplies. 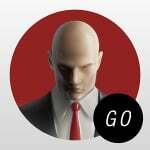 Hitman GO is exactly what you'd imagine a board game based on Hitman would be like. You painstakingly make your way around a board avoiding enemies and traps to reach your assassination target at the end. Enemies move when you move, so you'll have to use cunning to get past them. XCOM2 fully deserves top spot and the different the War of the Chosen DLC makes is amazing; it's more like XCOM2.5 after playing it. I have a bit of a love/hate relationship with Tropico though. I've played it through twice with some of the DLC as well but I don't think it's actually that good a game. I do like that it's more mission based than games like City Skylines though. I'm currently playing Surviving Mars though which probably warrants a place on this list. I'm just terrible at it. I've owned the first XCOM remake for, like, five years and have still never touched it. I need to change that. Well, anyway, Valkyria Chronicles would top this list for me, even with its relatively simple and slightly wonky mechanics. It has a ton of heart. I'm expecting great things from VC4! Disgaea 5 for me. It's unrivalled imo. I do own Xcom 2. Should probably get to that. So glad to see Shadow Tactics: Blades of the Shogun at #2. One of my fave games of last year. Such an incredible strategy/stealth experience. 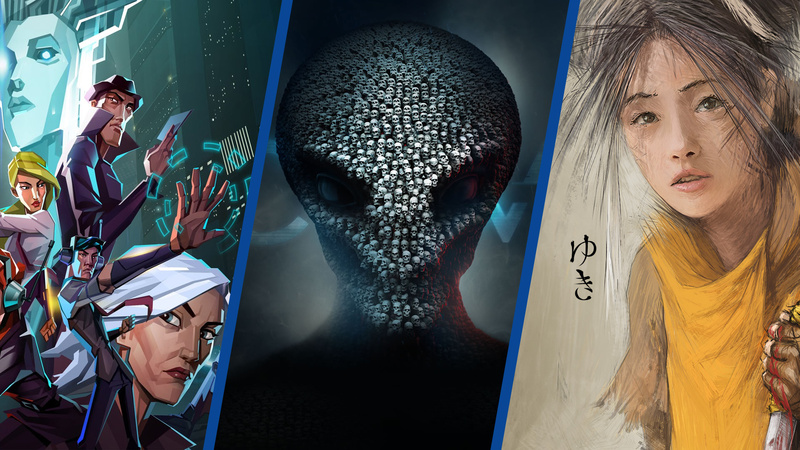 Also XCOM 2 definitely deserves the top spot, although it was only the War of the Chosen expansion that really turned that game into something special, in my opinion. It has a lot of technical issues on PS4 too, but they don't detract from how good it is. Finally, Tooth and Tail gets mentioned on Push. Sheesh. I would like to add Aven Colony. Amazing game that plays like it was made for PS4. There are a lot of titles on this list that I have yet to play. It’s great that strategy games find their way to home consoles and work well without mouse and keyboard. Interesting list. A few there I have never heard of and will investigate further. Thumbs up for Invisible Inc.- probably my most played PS+ game. Where is Darkest Dungeon? Darkest Dungeon is easily in the top 5. Valkyria 4 is a gem just like the original, I love XCOM but the style and the characters or Valkyria just make it a home run. The combat systems of the two games are strangely kinda similar - in a way. @Feena true, valkyria chronicles is probably the only strategy game that makes me care about what's going on, even if it's a bit cheesy and full of anime tropes. No Natural Doctrine? Some of these barely qualify as strategy games. ND on the other hand is a deep, complex and challenging PS exclusive. I would have updated the list to include: Railway Empire, Blood Bowl 2, Jurassic World Evolution, Aven Colony, Grand Ages: Medieval, 8-Bit Armies, Dungeons 3, Mutant Year Zero, Nobunaga's Ambition: Taishi, and Surviving Mars. Mutant Year Zero: Road to Eden is really good if you like Xcom 2. How did I not know about Steamworld Heist until this list? I read some reviews, and it seems like a game that is right in my wheelhouse. Thanks Pushsquare!